In an effort to offset child care costs for families who would not be able to afford the tuition, we have implemented a tuition assistance program. Assistance is provided to families who qualify as funds become available. Additional information and applications can be found in the office. For JPL/Caltech employees, tuition assistance may also be available through a program on-Lab/campus. High-quality care and education programs for children are expensive. Well-educated staff and teacher-child ratios that support both research-based curriculum and relationship-based caregiving account for the two highest budget expenses in these types of programs. All too often, it can be a challenge for parents of young children to afford these services when added to the costs of raising a family. We are keenly aware that some families need financial assistance in order to enroll with us. Mindful of this challenge and committed to economic diversity within our community, the CEC’s Tuition Assistance Program helps parents bridge the gap between tuition and what they can afford. Regretfully, these funds are limited and may not allow us to provide tuition assistance to all families who apply, and/or at the level requested. Priority is given to helping as many families as possible, and all tuition assistance awards are confidential. Before applying for tuition assistance, we ask that parents assess all personal resources to determine the maximum amount of tuition they can reasonably afford. If all available resources are still not enough to meet the CEC’s tuition costs, we encourage parents to submit an application to determine eligibility. While families ask for the guidelines regarding levels of household income or the debt-to-asset ratio necessary to qualify for tuition assistance, unfortunately, there are no absolute guidelines by which eligibility can be determined because each family’s situation is unique. As a result, the CEC utilizes FAST (Financial Aid for Student Tuition) to determine financial eligibility and make awards for which we have funds. The FAST (Financial Aid for Student Tuition) program helps independent schools across the country determine a family's financial need. With the help of FAST, our Tuition Assistance Committee determines whether a family qualifies for assistance based on need and if the amount needed falls within the scope of our funding ability. Financial need is determined by taking many factors into account including family income, assets and liabilities, unusual expenses, and the number of children attending tuition-based schools. In addition, due to limited funds, each parent must be employed. At the CEC, tuition assistance is first committed to enrolled children who are already receiving assistance. We then consider qualified enrolled children who may, for the first time, be applying. Assistance is then offered to newly-enrolled children. Once a family is awarded tuition assistance, they are required to re-apply each year. Tuition assistance awards are effective September 1 through August 31 and are based upon the child’s confirmed and current schedule. If the child’s schedule changes, then the award will be reviewed and revised if applicable. Despite our commitment to providing tuition assistance to qualifying families, the number of applicants who qualify each year typically exceeds the CEC’s allocated funds for this purpose. Therefore, the CEC cannot guarantee that applicants who qualify will receive tuition assistance. The FAST application, completed in full. There is a $45 non-refundable fee for application. Applications for tuition assistance are accepted year-round. Priority consideration for currently enrolled families is given to those submitted on or before Friday, March 1 for the upcoming program year and this year’s Summer Exploration Camps. * For families who have been offered enrollment, applications are considered at the time of submission. *If you are currently receiving tuition assistance and have enrolled or will be enrolling in the Summer Exploration Camps (June 10 – August 7), you do not need to re-apply for your child’s summer enrollment. 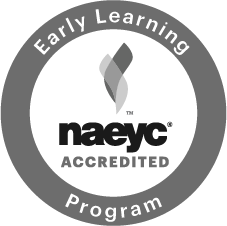 However, if your child will be enrolled in any CEC program beginning August 12, you do need to submit a new application. Please note: FAST applications will not be reviewed by the Tuition Assistance Committee until FAST has received and verified your 2018 tax information/returns. The Child Educational Center enrolls children and families without regard to religion, sexual orientation, family composition, differing abilities, race, color, or national or ethnic origin. It does not discriminate in the administration of educational practices, admission policies, financial assistance, or other CEC-administered programs. Questions may be directed to Helen Ruppel, Director of Administration by email or phone at (818) 354-3418.